For Immediate Release — Easterseals Southern California (ESSC) – which assists more than 10,000 people with disabilities – has teamed once again with Baker’s Drive-Thru Restaurants for its 30th annual Safe Halloween coupon book fundraising campaign in the Inland Empire. Through the Safe Halloween coupon book fundraiser, Baker's Drive-Thru has raised nearly $4.5 million for ESSC since 1989. One hundred percent of the proceeds from sales of booklets support Easterseals services in the I.E. for children and adults with developmental disabilities and other special needs. 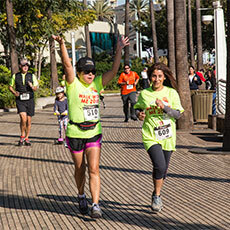 Running Wednesday, Sept. 26, through midnight on Halloween, the booklets are available at all 39 locations. For just $1, booklets feature 28 free and discounted coupons valued at more than $400 for food, fun, products and services from local companies such as such as Baker’s, Aquarium of the Pacific, Fantastic Sams, Fiesta Village, Krispy Kreme, Scandia Amusement Park, Vector Escape Games and more. In 2019, Easterseals will observe its 100th anniversary of changing the way the world defines and views disabilities. Established in 1952 by Neal T. Baker, Baker’s Drive-Thru has been serving quality food at a great value to the Inland Empire for over 64 years. Visit Baker’s Drive-Thru at any of the 39 locations. For more about Baker’s Drive-Thru restaurants, see the next page or visit www.bakersdrivethru.com. Easterseals, which will observe its 100th anniversary in 2019, has been an indispensable resource for individuals with developmental disabilities or other special needs and their families. 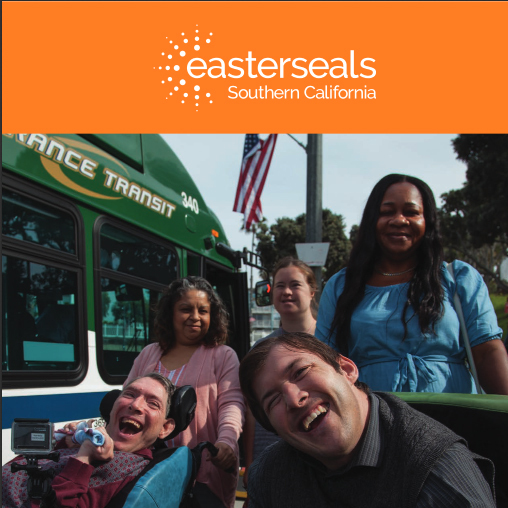 The services provided by Easterseals Southern California (ESSC) – in Los Angeles, Orange, San Diego, Imperial, Kern, San Bernardino, Riverside and Ventura counties – make profound and positive differences in people's lives every day, helping them address life’s challenges and achieve personal goals so that they can live, learn, work and play in our communities. With 2,700 employees, 60+ service sites and hundreds of community partnership locations, ESSC assists more than 10,000 people, providing adult/senior day services; autism therapy; child development/early education; employment services, veteran employment support; independent living options; and more. At Easterseals, 88% of our income is spent on services. Join us in changing the way the world defines and views disabilities.